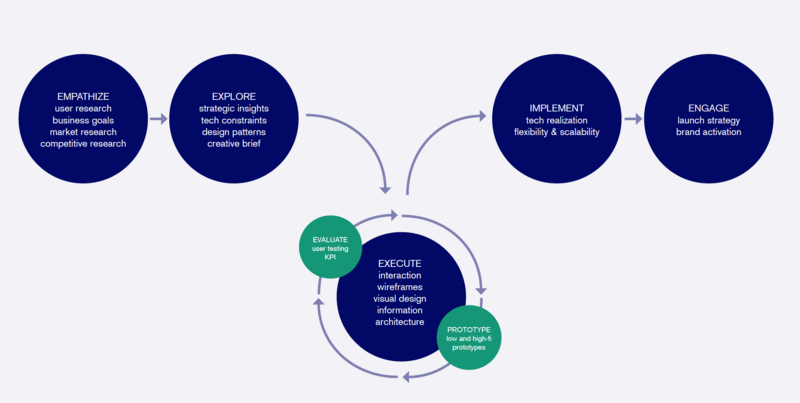 - from design patterns to design systems. The weekly newspaper“der Freitag“ was founded 1990. When today’s publisher Jakob Augstein took over the newspaper in 2008, the editorial office and publishers house moved to Hegelplatz, Berlin. 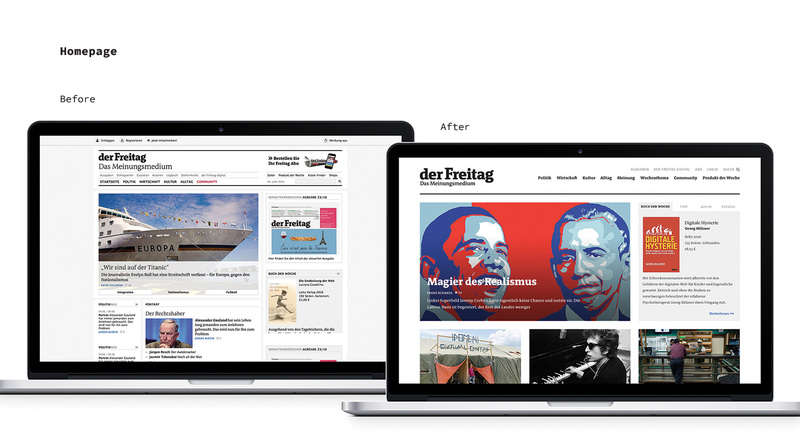 “der Freitag“ – Das Meinungsmedium“ gets published since February 2009 under the new label in print and online and has a an exclusive consortium-partnership with the British “Guardian” for all German-speaking areas. 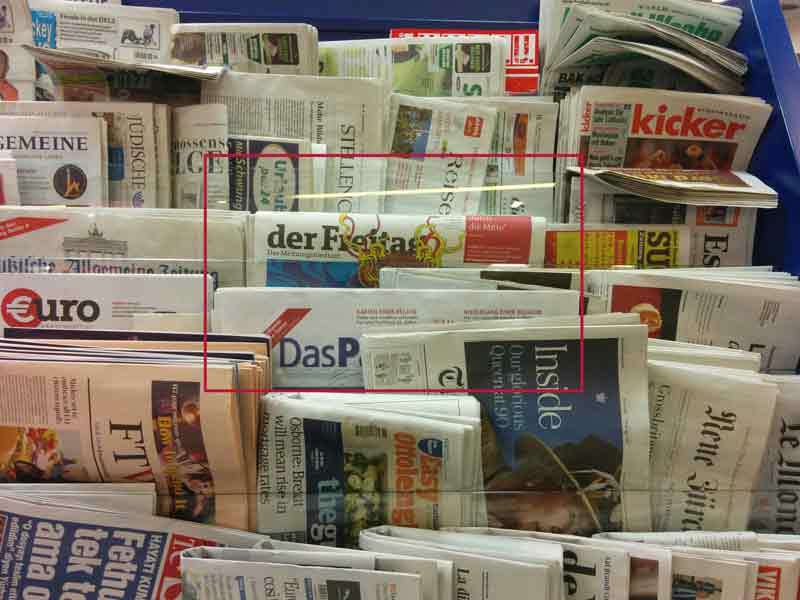 Print and online are closely linked - input from the der Freitag Online-Community is an integral part of the newspaper and has its own sub-page on “freitag.de”. For years, “der Freitag“ – Das Meinungsmedium“ has been convincing an ever-growing audience with its quality as a left-liberal weekly newspaper - it delivers background stories, asks for societal dialogue and discussion in an independent, ambitious and intelligent way and contributes with its own critical and constructive opinions. The print edition in the third quarter 2017 came close to 25000 sold copies. Since 2010, when responsive web design made its way into web development, a continuous change has been taking place with regards to how content was structured, as well as regarding its technical implementation. Of course, expectations towards the web application that had to be adapted with the numerous different classes of machines and devices were fully met from the beginning. User experience (UX) and usability instead were given too little attention for far too long. Today, the design of modern digital products makes it paramount to consider individual user experiences as well as personal preferences. 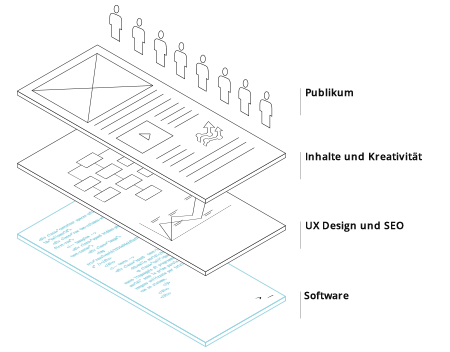 As a consequence, together with “der Freitag“ – Das Meinungsmedium“, a thorough research focusing on readers’ habits and preferences was conducted during the very early stages of the project, resulting in user interface requirements consisting of a distinct flexibility in the system design. This was necessary in order to seamlessly integrate into the existing plone content management system, which we were able to secure via an extensive modularization of the system components as well as through a simple extensibility of the modules. From the beginning of the planning phase, we have directed our efforts towards the adaptive principles of web design, meaning that end-devices and their potential was given priority over respecting design rules. We have defined each single layout-component based on the “Atomic Design Principle” (See Atomic Design of Brad Frost) element and by consequently applying the BEM-Method (Block Element Modifier) for the naming conventions for the frontend-development of an independent design system. Our goal was to achieve control over all content elements on a granular level, hence enabling a user-friendly, content-rich and flexible layout. Thanks to the close cooperation with the design- and UX-experts from our partner agency Fifth Beat, adaptive design components were developed that we named “cluster” and “leadcylces”. Cluster and leadcylces can contain up to nine design elements that can be automatically adapted to the page layout. One of the most important requests has been to create a flexible website-display to be smoothly integrated into the daily routine of the editorial office via Cluster- and Leadcylce-systems. 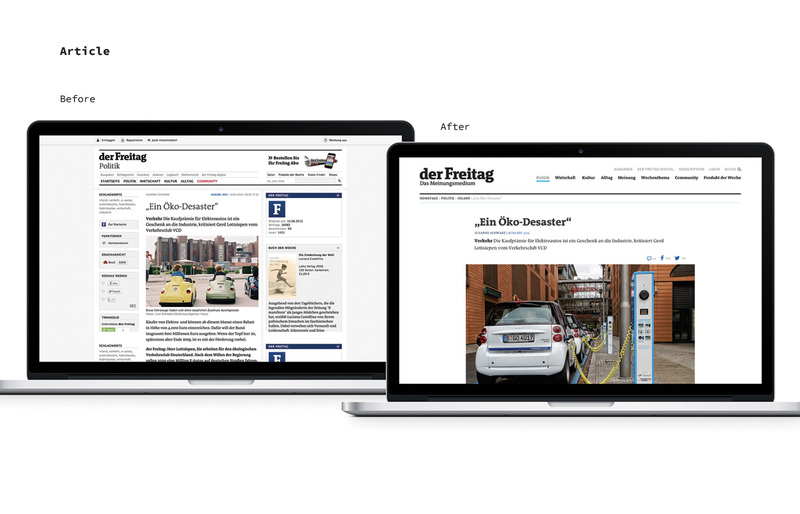 For the readers of “der Freitag“ – Das Meinungsmedium“ the following advantages emerge: from now onwards the usage of the website is fully supported by mobile end-devices in portrait- as well as in landscape-format. The text is easily readable also after the transfer into the web-format thanks to the application of the font "TheAntiquaF" specifically developed for the “Der Freitag” by font designer Luc(as) de Groot. Images do not contain any more embedded text and linkspace is now sufficiently dimensioned and easy to click on. During the last phase of the project, an intensive testing phase as well as the optimization of the loading speed and performance played a major role. After a successful beta phase during which a great number of improvement suggestions were collected from users and subsequently implemented, since August 2017, “der Freitag“ – Das Meinungsmedium“ is now online with its new system and layout. Through our method of working, we were able to ingrain the most important values of the company into the project: “We do not want to develop a new product, our product is the quality of our content! We encourage our readers to read our articles regularly because of the clear concept and to participate in the community. We need a modular system that is in line with our modern day journalism and ideas, where we can quickly create new headings, clusters and leadcycles. Our readers need good content and a secure and flexible infrastructure that makes reading even more fun." Abstract-Technology is a digital agency for software solutions that designs and personalizes open source software. We develop cutting edge digital solutions for companies and educational institutions including Universities, Academies & NGOs.